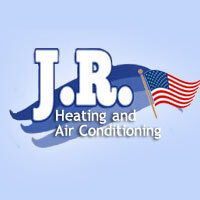 JR Heating and Air Conditioning is a full service San Antonio Heating & Air Conditioning company. Our experienced technicians and installers are focused on what really matters… serving you and your family. At JR Heating and Air Conditioning we know emergencies don’t happen at convenient times. With our full service response team you will never have to worry about your heating or air conditioning again. Our up front pricing ensures that you will always know your repair cost before any work is done. Our experienced technicians provide complete and detailed written estimates before any work is performed. JR Heating and Air Conditioning can perform replacement, repair and new construction HVAC work for commercial, residential or rental property in or around the San Antonio area. Commercial – Replacement/Repair/New Construction: Including-rooftop package units, ventilation, air balancing, duct cleaning, preventative maintenance, summer and winter change over, appraisals, inspections and filter replacement services. Residential and Rental Property – Replacement/Repair/New Construction: Including-air balancing, duct cleaning, preventative maintenance, summer and winter change over, appraisals, inspections and filter replacement services. JR Heating and Air Conditioning also provides duct, air quality, energy use reduction and equipment services including: duct fabrication, duct cleaning, ultra violet lights, air purification, blown-in insulation, attic ventilation, de-humidification, humidification, air balancing, used parts and equipment, drain line treatment and retro fit equipment replacement. Installion, repair and service on Trane, Carrier, York and Ruud HVAC systems. San Antonio looks to JR Heating and Air Conditioning for AC repair and heating repair.